I was discussing a friend's manuscript, and I suggested she pump up the "call to action." That's usually in the first chapters, and is where the protagonist is given the incentive to act. It doesn't have to be a big high-stakes event, or some insistent demand, but I think a good "call to action" (Vogler calls it the "call to adventure," which is more intriguing!) can entice the reader to keep reading and also launch the story into the second act of rising action. Sometimes the call is rendered a bit too subtly to provide enough motivation for the protagonist to get off her duff and get moving. However, we don't necessarily need a Wizard of Oz style tornado call to action. It can seem minor and become more important later, or actually be minor but end up dragging the character deeper and deeper into danger. Point is, whatever the incentive is, it should be enough to motivate the character out of her routine and into doing something. I came up with a few suggestions that might help power up the call, and give the reader a clue that conflict will be heating up. 1) Make it matter to the protagonist. The main character is usually our surrogate in the story, so it has to matter to him/her for us to feel that it's important. I was just reading a pretty good book, a police procedural, that could have benefited from a stronger call to action. The detective saw the central crime as just another murder of the 20 or so he investigates a year. There wasn't anything special about this murder, at least as far as he was concerned, and his "just a job" attitude made it easy not to get really invested in the conflict. So what's different about this conflict event? Why is it a "call to action" that's more imperative than "get to work on time?" How can you show that either when the event is initiated, or as the character gets more involved? 2) Place it early. Don't make the reader wait too long. 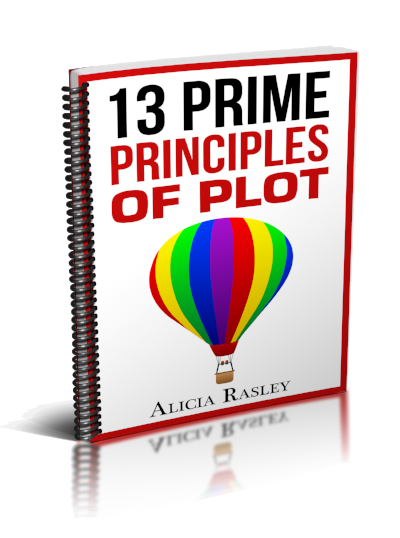 The call to action is the signal to the reader that the plot is getting underway. But it's also the event that tells the character to do something, to get started on the goal or overcoming the obstacles. In the classical dramatic schema, it's the end of the setup and the beginning of Act II. It means things are changing. Even if you want to ease into the conflict-- it seems like just another murder at first-- think of having some little signal that this particular one is just a bit different, like the police commissioner calls right after the body is discovered in Chapter 1, oh so casually, to ask who caught the case. That way, when the victim is revealed in Chapter 3 to be the commissioner's mistress, the reader will experience a certain glee-- aha! I knew something was up! 3) Make it new. The police procedural never really overcame the "just another job" problem you see often in books where the protagonist's job is taking care of this problem. The call to action might SEEM routine-- just another murder for the homicide detective!-- but think about how you can pretty quickly make it more than just another job. Maybe the victim is the mayor's college roommate, or the evidence points to the police chief, or the modus operandi reminds an old-timer in the department of an unsolved murder, or.... What's different about this event? How is it not just routine? How can you show that early enough that the reader's attention doesn't wander off? 4) Make it demand some action. The "call to action" means the protagonist should act or react because of this, and not just the usual or routine (opening a file, stopping at the bank). What does the protagonist have to do in response to this event that's different than usual? Maybe he agrees to call the police commissioner back after the autopsy. Maybe he stays late to wait for a call from the Pacific Time parents about their daughter, and so misses the pickup at his kids' daycare center and gets into trouble with his ex-wife. Or he has to call her at 5 pm and ask her to do the pick-up, even though it breaks his heart to hear her voice. The call to action should quickly disrupt this person's life and call for some unusual activity. 5) Use scene placement to show that however negligible this might seem, it's actually important. Anything placed at the end or beginning of a scene gains importance just from the position, from the pause that comes before or after, and from the sense that all builds up to this event or ripples from it. 6) Use another character to elicit some notion of "specialness". The police commissioner is elaborately casual in his inquiry... too casual. The ex-wife remarks that the detective has always picked the kids up-- what's wrong? The detective's partner passing by the desk picks up the file and mentions that this is the third "Brittany" killed this year-- weird, huh? 7) Don't be too gradual. This is my mistake every time. I think I want to make it entirely plausible, completely logical, and so I spend three scenes carefully setting up the interlocking clues that This Is Special. (I also keep telling myself to "bury" the big clues in the middle of other clues, so I have to create all those other clues, hence more scene detail, more scenes.) In the first scene, maybe the detective notices her charm bracelet. In the second, he has to call her parents to tell them that she's dead, and they weepingly tell him that she had a new boyfriend, someone important. In the third scene... you get the idea. By the time the reader has carefully picked through the minefield of event, clue, detail, I might have lost her interest. Stack. Get more than one big moment into the "call to action" scene. Start with the charm bracelet, have him call the parents, let the partner notice something-- all in one scene. Let the small event build into the larger revelation or realization that.... "this is different!" 8) Show the change soon. Again, don't be too gradual in the opening. (I think in the middle of the plot, you can probably take things more slowly and meticulously, but in the opening, you want to get underway.) The call to action changes things not three scenes later, but right now. If you can make the change clearly a result of his taking this unprecedented action, all the better. As soon as he agrees to keep the commissioner informed, he gets caught up in the plot-- the commissioner is "casually" calling him the very next morning. 9) Show the character having to change-- that is, how does this skein of events make his actions and/or attitude different right away? For example, he might be sort of flattered that the police commissioner is paying attention to him, but he knows that his captain won't approve, so when the commissioner calls, he lowers his voice and takes the phone into the hall so no one, not even his trusted partner, overhears. 10) Let this call to action open to a new world or a new opportunity. Say the police commissioner is grateful to be kept informed, and invites the detective to his club where the mayor and the judges hang out. Or the trail of clues leads to Los Angeles and he has to board a flight and leave the frozen Midwest for the beach. 11) Notice what you set up in the call to action scene and use that later in the book, to deepen characterization or develop new conflict or further the character journey. If you want him at the end of his journey to get back together with his ex-wife, for example, in the end, how can you let the call to action and aftermath set that up? Like instead of just abandoning the kids at daycare (not conducive to later getting back with ex! ), he uses this as an opportunity to call her, get her to do the pickup, and... this is the important thing... promise her in exchange a nice dinner out. That last in the chain of actions will set up the much later "date" that resolves the romantic conflict. Again, you're in control here. You're the one who determines what the event is, and how it first appears. You can turn up or down the emphasis. You can move the initiating event earlier or later. You can use dramatic or understated prose. You can select detail that adds to the suspense or narrows the focus. You can show the ripples of the event on the character's life and the setting. Challenge yourself to use the tools you've got to make this event a real call to action, for the reader as well as the character. Older PostDana's cozy mystery, Distrust to Trust?